On 1-13-18 my wife and I awoke to the message, “BALLISTIC MISSILE THREAT INBOUND TO HAWAII. SEEK IMMEDIATE SHELTER. THIS IS NOT A DRILL.” The message was terrifying. We were helpless, confused, and waiting to get blown away for 30 minutes before the state declared it was a false alarm. 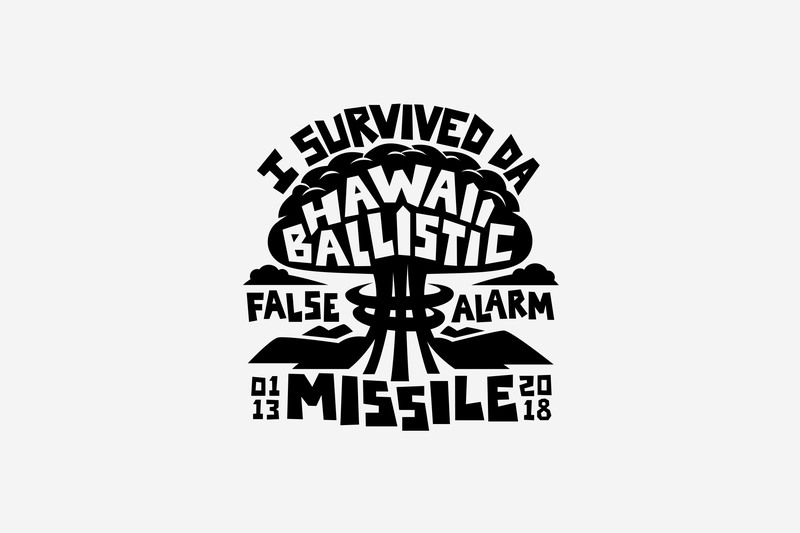 I designed this logo for a t-shirt to remember the day somebody hit the wrong button and sent the state of Hawaii into panic.